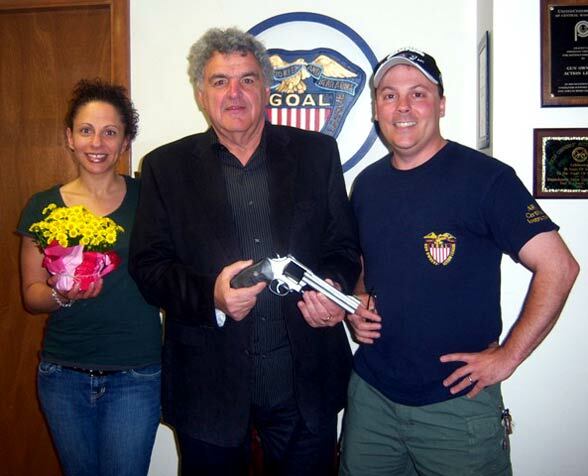 A big winner in the Gun Owners' Action League 2008 raffle was retired Boston Police Officer Ed Contilli, recipient of a custom-tuned, specially engraved LaRocca Gun Works Smith & Wesson Model 686 .357 Magnum Revolver donated by the Village Gun Shop of Northboro, Massachusetts and LaRocca Gun Works. Pictured above: a delighted Contilli flanked by GOAL's Director of Communications Angela Fisher (she's the one with the flowers) and Director of Training Jon Green. Mike LaRocca customized this M&P .40 by bead blasting the stainless steel slide, smoothing and lightening the trigger pull, and installing night sights. This custom firearm was available exclusively at the Worcester County Banquet on May 17th, 2008. Anyone who missed out on the banquet can contact LaRocca Gun Works in Worcester to order one from Mike (508-754-2887). Please be sure to thank him for his support of the NRA Foundation when you call. 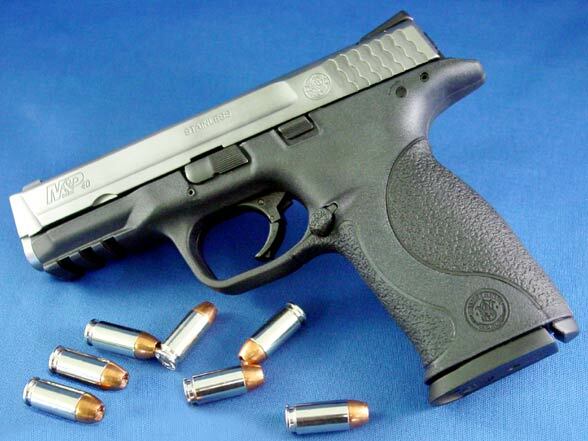 Please contact us to discuss any of your gunsmithing requirements. MASTER CARD and VISA always welcome!